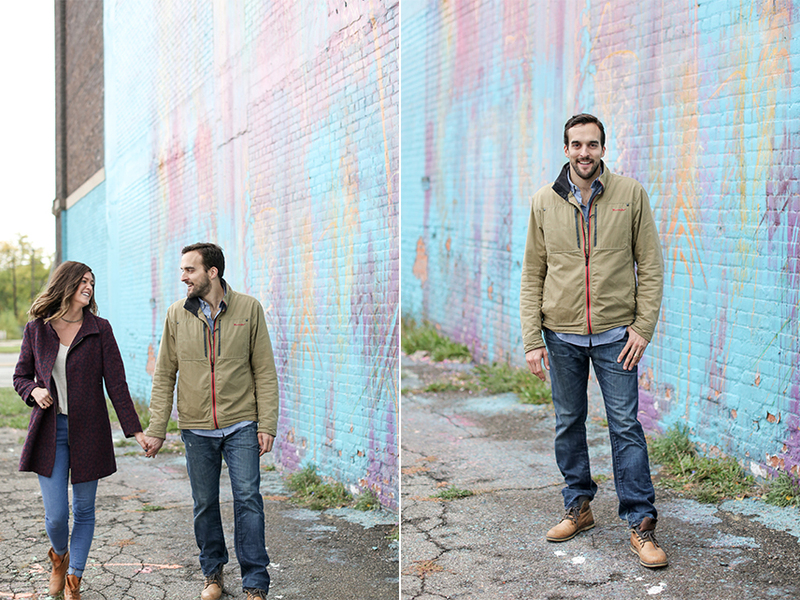 I absolutely loved the chance to have Lauren and Troy in front of my camera. Ted and I met these two last year at church, and they have become quick friends. They are other-centered and caring, and are always making their friends a priority. I have been so thankful to get to know them better and to get to do life together. So getting to celebrate their anniversary with them was an added bonus! 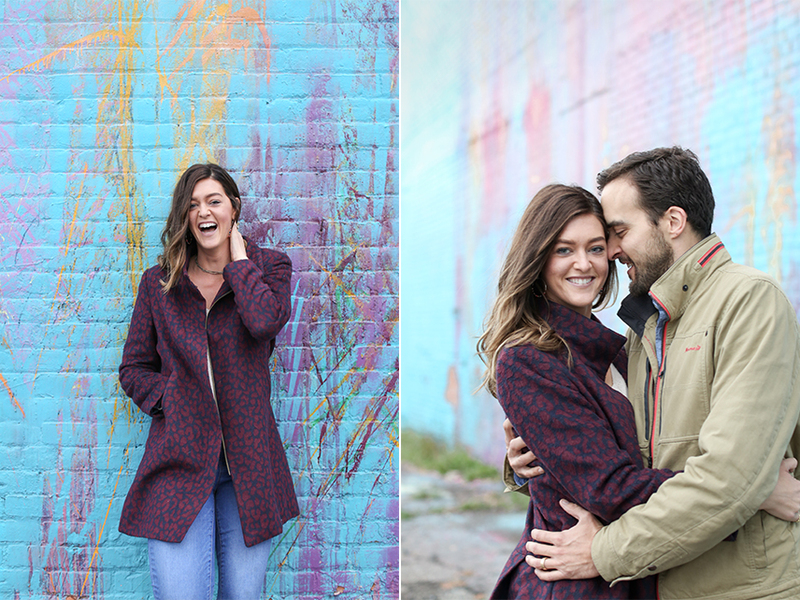 We planned a downtown engagement session to commemorate their first year of marriage and move to Michigan from out of state. We ended up with a grey, windy day which made for such a romantic backdrop, and the perfect excuse to cuddle up close! 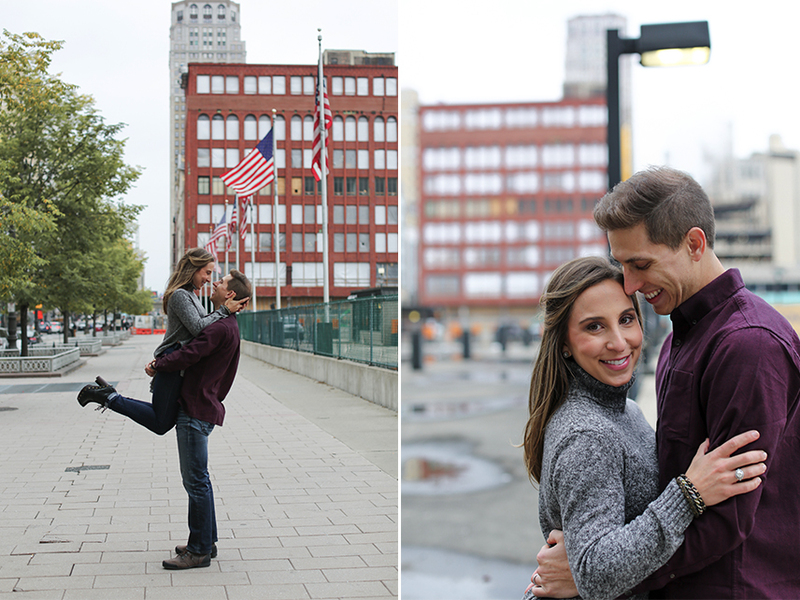 Our session started at the Z Parking Lot and we finished in Campus Martius. These two were so comfortable in front of the camera, and made my job so much fun. 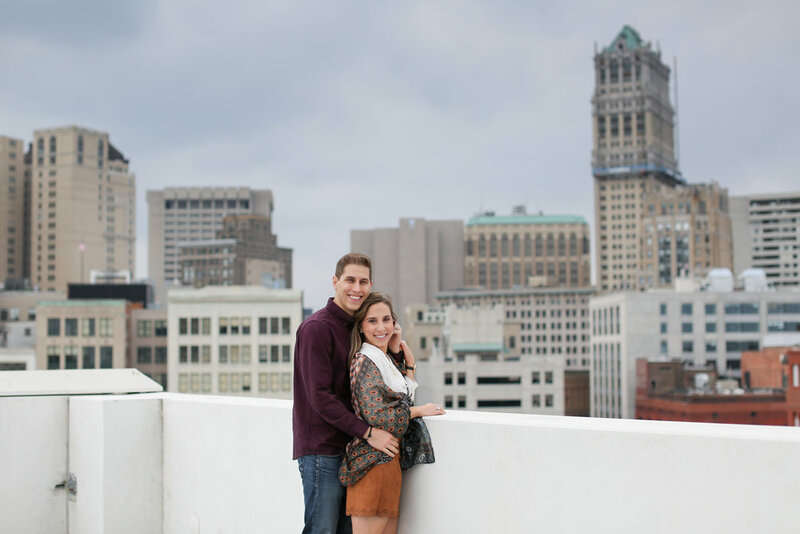 I love that years from now, wherever life might take them, they will always have these photographs from Detroit together to remember the excitement and changes that accompanied their first year of marriage. Happy (belated) anniversary, Lauren and Troy! David and Rebecca are two of our very closest friends. We all met in college and since graduation, getting married, buying houses and new jobs we have done a lot of life with them. Thankfully we live just a few blocks away so there are lots of- what are you doing for dinner? 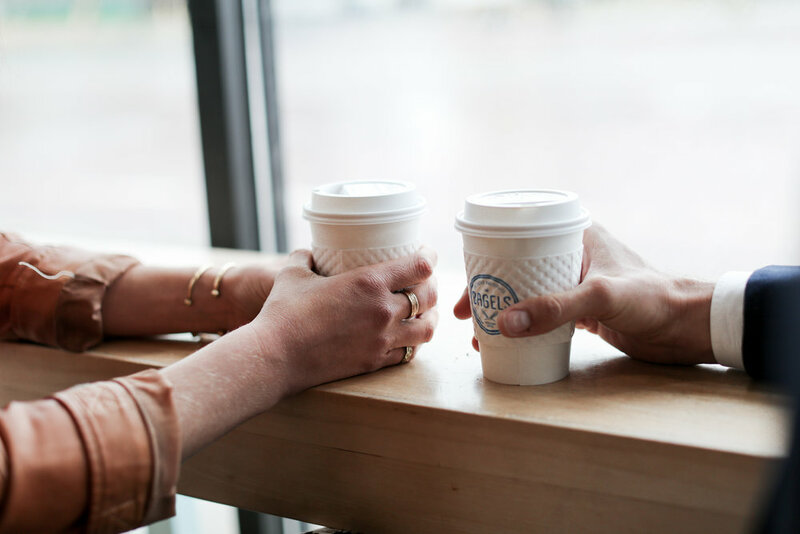 Want to do that together- phone calls. These two always challenge and encourage us. They have answered the phone in the middle of the night and met us at the hospital, ran to our house when we forgot our travel itinerary and were already at the airport, prayed for us, and fed us more meals than I can count (because Rebecca is an insanely talented chief). They have also been our travel companions, euchre competition (always boys verse girls), and fellow beach bums. 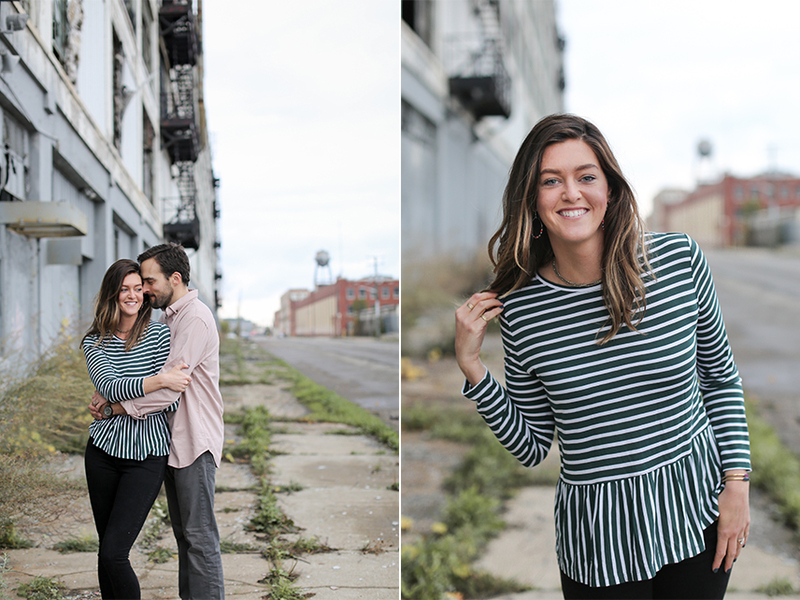 These two have so much going on right now, so we hopped downtown to update their headshots and to get some anniversary pictures, as they are coming up on two years of marriage. Rebecca just launched her new business- Northland Web Design and Development. I am so proud of this girl. She has worked so hard all summer to educate herself, grow, and launch this business. Her dedication blows me away. Be sure to check out her website here, and if you need any web design I would highly recommend her! Rebecca found this awesome spot downtown. It was so much fun to checkout a new location, and I quickly added it to my list of favorite places to shoot. Detroit has so many awesome streets to explore and this neighborhood had a little bit of everything. We ended the shoot over at Eastern Market and then inside the Detroit Institute of Bagels. We mostly went to Detroit Institute of Bagels because David and I love our bagels, but then of course when we got there and saw how cute it was inside we snapped a few more pictures! 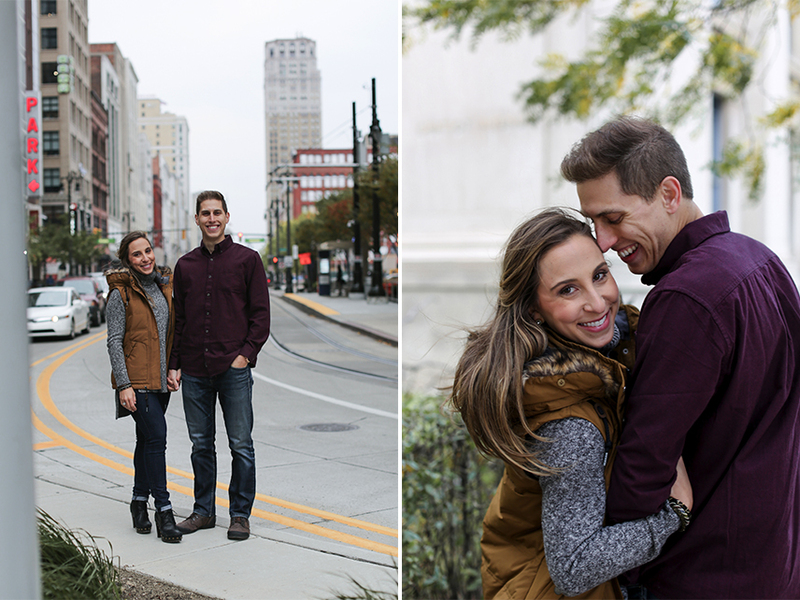 So thankful for you two, David and Rebecca- thanks for letting us do life with you!